3 Point Backhoe | BH-8 Tractor Backhoe w/FREE SHIPPING! 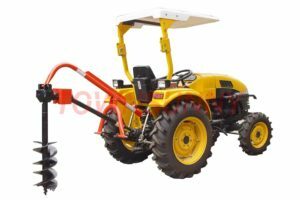 Recommended Tractors: 40-75HP, Working Depth: 8 ft., Total. Weight: 1,325 lb., 9″ Bucket included! Victory’s BH-8 is an affordable high-quality alternative excavator for midsized tractors from 40 to 75HP with CAT I/II 3 point backhoe attachment, Working Depth up the 8 ft. 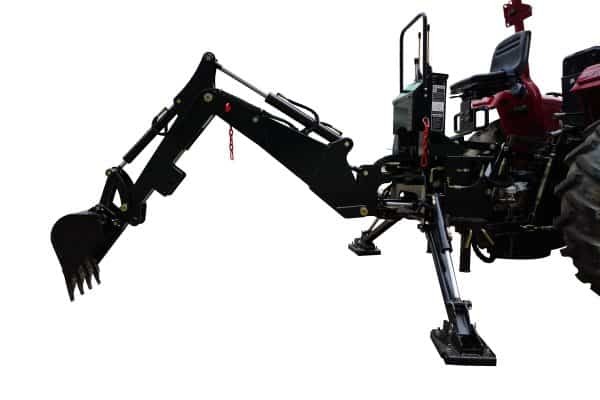 The VTI-BH8 is designed for heavy duty digging and lifting by utilizing a powerful hydraulic system capable of a bucket digging force of well over 3,000 lbs. This 3 point backhoe is easy to operate and controlled by 2 joysticks from its independent control station. 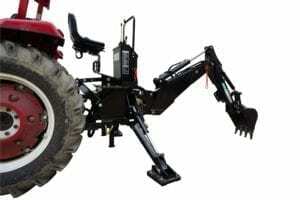 The VTI-BH-8 can be mounted to all tractors with at least Cat I three-point hitch. The tractor’s PTO output drives the 2250psi hydraulic pump (from its own hydraulic tank with site glass), operating the backhoe (no need for tractor hydraulics). Because of the weight of the BH-8 (1,325 lbs. ), you should use extra weights on lighter tractors (please consult with your tractor’s manufacturer). 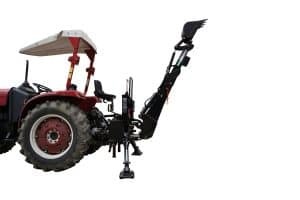 The BH-8 can stay mounted on your tractor when driving on public roads. It does not cover any of your tractor’s lights. The hydraulic stabilizer provides the 3 point backhoe with compact transport dimensions (78”x51”x55”) designed for heavy duty digging. The maximum working height is 11’ 6″, the working radius is 10′ 6”, and the working depth is 8’. Due to the backhoe size, we use a steel crate for delivery. Partially assembled machines do not contain any fuel, oil or other fluids or grease needed for operation. BEFORE USING THE MACHINE please carefully read the user manual. (mounted on tractor) 68x51x48 in. 71x51x48 in. 78x51x55 in. Total Weight 994 lb. 1,080 lb. 1,325 lb. Hydraulic Tank (with site glass) 17L/4.3Gal 17L/4.3Gal 17L/4.3Gal. Bucket width 9 in. 9 in. 9 in. Max. working depth 6 ft. 7 ft. 8 ft.
Max. working radius 102 in. 116 in. 126 in. Max. height 108 in. 122 in. 138 in. Max. off-loading height 63 in. 70 in. 75 in. Max. lifted weight 880 lb. 880 lb. 880 lb. Max. bucket digging force 3,300 lb. 3,300 lb. 3,300 lb. Up position 47 in. 47 in. 47 in. Down position 85 in. 85 in. 85 in. Transport height 63 in. 71 in. 79 in. Transport depth 48 in. 52 in. 56 in. Transport width 47 in. 47 in. 47 in. Metal crate (L x W x H) 79 x 36 x 43 in. 79 x 36 x 43 in. 79 x 36 x 43 in.